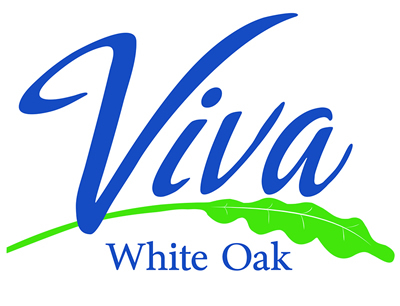 LifeSci Village- a planned, 300-acre, mixed-use project in the White Oak area- is now Viva White Oak. Developers announced the new name and logo after soliciting input from a community-based committee called Labquest, which was “instrumental” in attracting the U.S. Food and Drug Administration (FDA) to White Oak and in advancing approval of the county’s White Oak Science Gateway Master Plan. “The introduction of this new name marks another exciting step forward, as we prepare soon to move beyond planning and into the development phase for a community that will transform and bring thousands of high-quality jobs and tremendous amenities to the East County. Viva, White Oak! It’s an exciting day for Montgomery County and for everyone who has worked so hard to move this effort forward,” said Montgomery County Executive Isiah Leggett. 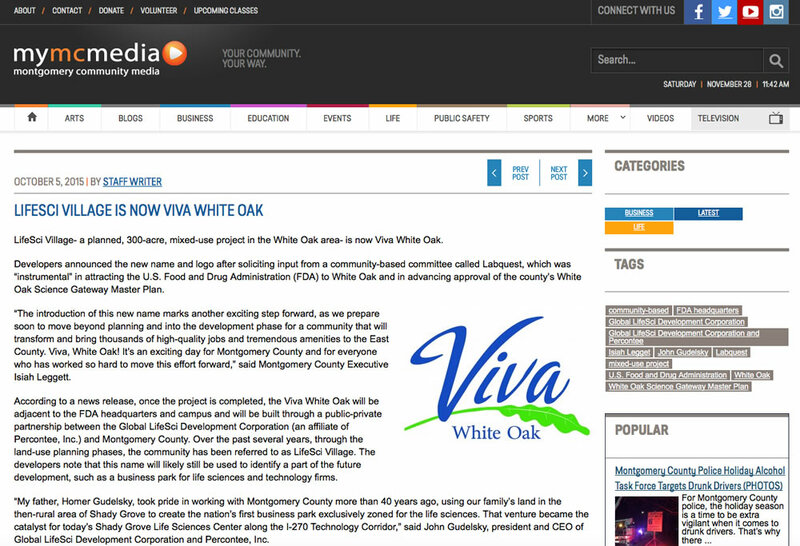 According to a news release, once the project is completed, the Viva White Oak will be adjacent to the FDA headquarters and campus and will be built through a public-private partnership between the Global LifeSci Development Corporation (an affiliate of Percontee, Inc.) and Montgomery County. Over the past several years, through the land-use planning phases, the community has been referred to as LifeSci Village. The developers note that this name will likely still be used to identify a part of the future development, such as a business park for life sciences and technology firms. “My father, Homer Gudelsky, took pride in working with Montgomery County more than 40 years ago, using our family’s land in the then-rural area of Shady Grove to create the nation’s first business park exclusively zoned for the life sciences. That venture became the catalyst for today’s Shady Grove Life Sciences Center along the I-270 Technology Corridor,” said John Gudelsky, president and CEO of Global LifeSci Development Corporation and Percontee, Inc.